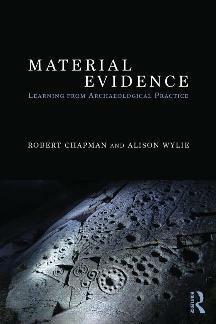 Material Evidence takes a resolutely case-based approach to this question, exploring instances of exemplary practice, key challenges, instructive failures, and innovative developments in the use of archaeological data as evidence. The goal is to bring to the surface the wisdom of practice, teasing out norms of archaeological reasoning from evidence. Archaeologists make compelling use of an enormously diverse range of material evidence, from garbage dumps to monuments, from finely crafted artifacts rich with cultural significance to the detritus of everyday life and the inadvertent transformation of landscapes over the long term. Each contributor to Material Evidence identifies a particular type of evidence with which they grapple and considers, with reference to concrete examples, how archaeologists construct evidential claims, critically assess them, and bring them to bear on pivotal questions about the cultural past. Historians, cultural anthropologists, philosophers, and science studies scholars are increasingly interested in working with material things as objects of inquiry and as evidence – and they acknowledge on all sides just how challenging this is. One of the central messages of the book is that close analysis of archaeological best practice can yield constructive guidelines for practice that have much to offer practitioners within archaeology and well beyond. Routledge 2015: publication expected in January 2015.